The downtown of a city calls to mind simpler times gone by. Once a city’s central business district, downtowns were the hub of activity. Although Dallas and Fort Worth have made big investments in revitalizing their downtowns, the rest of the metroplex can seem like one endless commercial center. 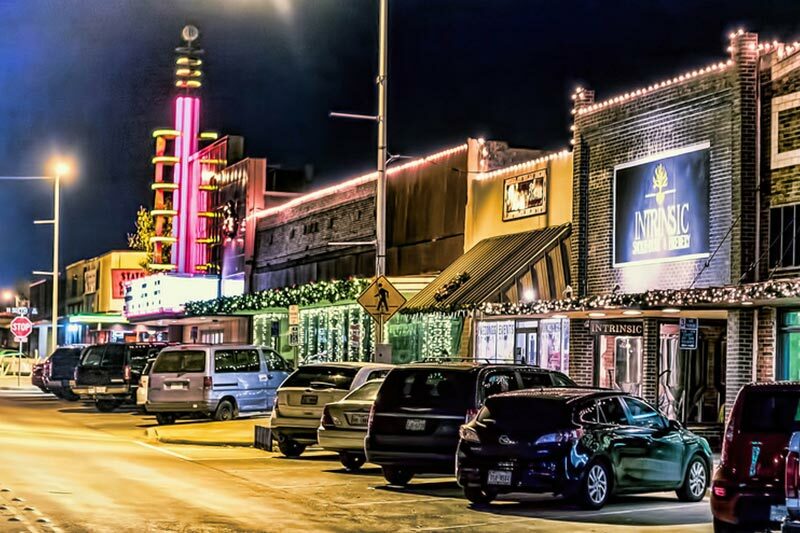 But you can still find charming, old-fashioned downtowns in many North Texas suburbs. Here are the places you won’t want to miss. McKinney is part of the fast-growing corporate corridor in Collin County, but it’s still honoring its past. Developments like Davis at the Square preserve the traditional historic district while offering fine shopping and dining opportunities. 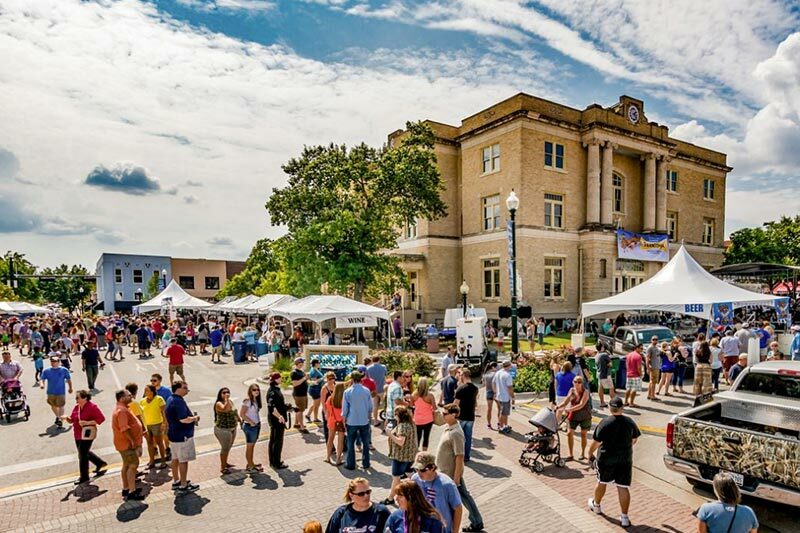 McKinney makes their downtown a destination with events like Arts in Bloom in April, McKinney Oktoberfest, and concerts at the McKinney Performing Arts Center. Keller frequently appears on many lists of best cities for families. The Northeast Tarrant suburb maintains a quaint downtown area, which it calls Old Town Keller. Visitors can walk from one independent venue to another, like Cafe Medi and Bronson Rock. The city has recently invested $4.25 million to revamp the Old Town Keller downtown area, including branding, artwork, and new sidewalks. Currently Phase I is complete, with plans for Phase II on the way. Just a few miles up State Highway 377 from Keller, Roanoke is maintaining the original charm of their historic downtown. 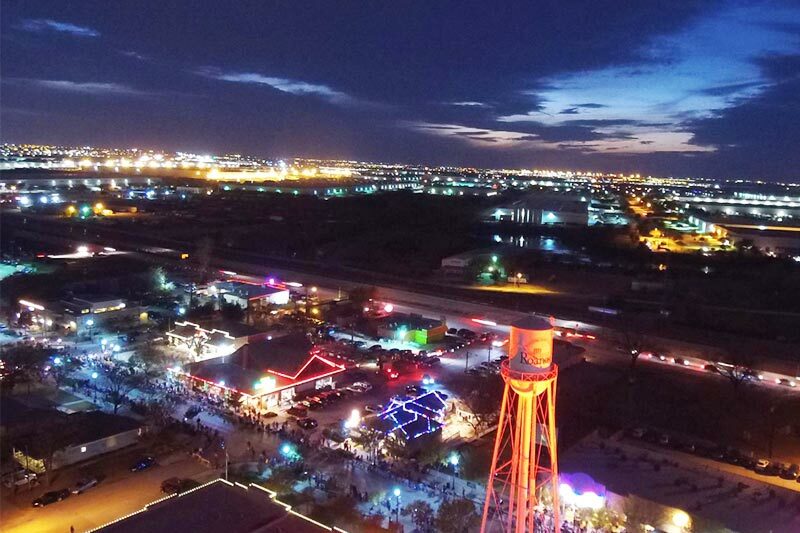 Enjoy an excellent meal at many of the unique establishments like Reno Red’s and Craft & Vine. Also, Babe’s Chicken Dinner House is a classic Texan dining experience you don’t want to miss. Come out to enjoy a free concert in the community at their weekly series Evenings on Oak Street at Austin Street Plaza. The annual Celebrate Roanoke festival is free and fun for the whole family. Historic Downtown Cedar Hill makes efforts to maintain the heritage of the area south of Dallas. Shop for one-of-a-kind finds at charming boutiques like the Cheeky Cactus and Decor on the Hill. Dine at independent restaurants full of Texan flair like Jessica’s Garden Tea Room and the White Rhino Coffee House. Learn at the Cedar Hill Museum of History or the Backyard Wildlife Resource Center. Historic Downtown Cedar Hill is also home to a large number of spas and salons where you can be completely pampered. Honor the history of Cedar Hill at sites like Crawford’s Tornado Graveyard and at events like Country Day on the Hill. You’ll be transported back to a simpler time when you spend a day here. Colleyville is one of the most affluent cities in the Dallas-Fort Worth metroplex. Just south of Grapevine (and part of its school district), Colleyville is safe, clean, and charming. 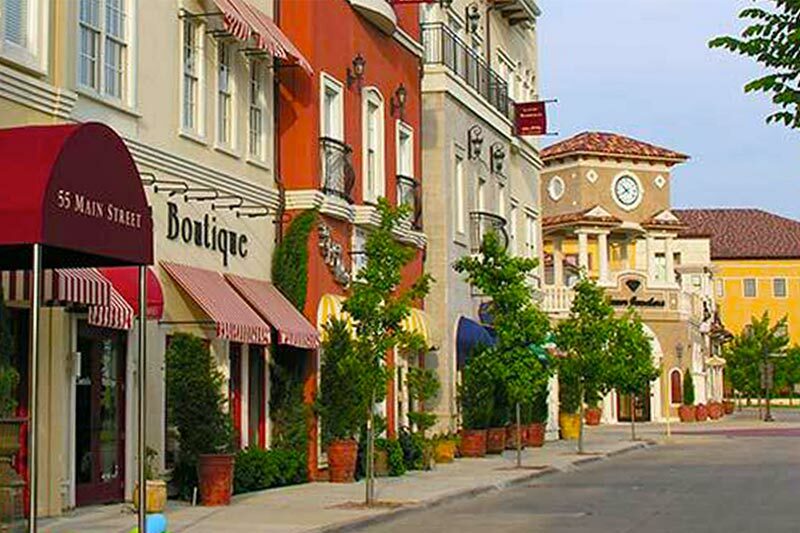 More than a historic district, the downtown part of town is called The Village at Colleyville. It’s not only home to the city’s municipal center, but also includes shops like Milwaukee Joe’s Artisan Ice Cream. Have a romantic dinner at Ruggeri’s Italian Ristorante or dine in style at Tribeca Americana. The European-inspired design includes upscale condos, and the town square hosts parades and concerts. It’s a peaceful little enclave in a small town reminiscent of an earlier era. One of the fastest growing suburbs in the DFW area, Wylie is adding to both its population and its total land area. But the one constant is the city’s commitment to its historic downtown area. In downtown Wylie, you’ll find century-old buildings, Olde City Park, and shops and restaurants alike. Enjoy all the fun at the famous Wylie Opry. Come down to Ballard St. for activities like the Pedal Car Race, which supports the Special Olympics; Bluegrass on Ballard, a 4th of July celebration; and the annual Wylie Arts Festival. It’s hard not to fall in love with the old-school charm of this small town east of Dallas. If you want a glimpse of what Texas might have been like in the past, come to Downtown Garland. Here you’ll find hometown specialty shops and locally owned restaurants. Dine at independent eateries like Paw Paw’s Sweet Shop and Cafe or the Main Street Deli. Shop at boutiques like Trims & Treasures or Alston’s Antiques. While you’re in the area, stick around for events like musicals or concerts at the Granville Arts Center and Plaza Theatre. You’ll have a great time on the square in Downtown Garland.